I’d like to follow few very interesting discussions that happened last week. Few blog posts you probably want to read before you will continue with today’s post: Should I keep secrets from my PLM system?, Yes, Oleg, You Should Keep Secrets from Your PLM System, People Centric PLM – A New PLM age is born. So, why I decided to get back to this topic again this week? Back to my original Should I keep secrets from my PLM system? PLM introduced a concept of “single point of truth” and, even if this concept intent was good, I was afraid to see how this concept made many PLM implementations unsuccessful. In my view, it created perception of PLM to control all product’s data in organization. And this task is very complicated. Meantime, PLM can provide many additional benefits. So how to leverage them? These are my original thoughts – keep secrets from your PLM! Don’t allow “multi-year PLM project” to start in your organization. You should be lean and efficient in the way you will plan your PLM deployment. …new social product development capabilities (those leveraging social computing technology) can significantly improve this type of idea exchange. It’s a more flexible and natural way of interacting, and doesn’t carry the constraints inherent in a governance system. Not every idea exchanged, considered, commented on, discarded or every question asked and answered needs to be in the PLM system. But having the freedom to spawn and discuss ideas and spontaneously ask questions or help out your colleague can make the process of getting the best ideas into the PLM system easier. Then the PLM system is tasked with managing the processes needed to bring that great idea to market”. “Windchill ProductPoint will give SharePoint reach into the world of Product Development. Windows SharePoint Services, Microsoft’s technology infrastructure for collaboration, has been well adopted across manufacturing companies as a backbone for Office applications, primarily for document sharing and management. With Windchill ProductPoint, PTC will enable SharePoint to understand CAD (computer-aided-design) data, increasing the reach of the familiar SharePoint user experience, and enhancing its usage across broader product development teams. For OEMs and suppliers, a future release of Windchill ProductPoint is planned to support the sharing of information among other Windchill-based systems”. So, big question I have now – will today’s PLM expand their capabilities to provide connecting forces and enable social product collaboration within organization? I’d say this is will be smart step. Should PLM limit to process governance and control of product information? I’d say we did it in the past, but new people centric PLM age is born, and we need to move forward! I know that with respect to some of the products that are developed here, secrecy is very important because of industrial espionage/leaking of information. Some products design is crucial for its success on the market and therefore those design teams are put in some kind of war-room that nobody else has access to. Only just before product launch, information will be shared with the rest of the company. For other (most) products information is shared already in a early stage, but here the design of of less impact to the success on the market. I’m a big promoter of sharing product information within your company. However I am aware that in some cases this can lead to information leaking/industrial espionage, that can damage a product launch considerably. So there should be some control possible, what and how you share. If you are in need of professional assistance from companies specializing in the field of IT development, we recommend that you pay close attention to the company called Skydex Soft Ltd. You can review the information on this company on its official website at http://www.skydexsoft.com, where you will be able to find some information on the company itself, the list of the services that it provides, and all the necessary contact information. It should be noted that, among other types of services, the company Skydex Soft Ltd offers outsourcing services. Among its customers are companies located all over the world: in North America, Western Europe, and the Pacific Ocean region. The extensive list of the company’s customers testifies to the level and scope of the professional business activities of the company Skydex Soft Ltd. The company specializes in developing projects on Microsoft .NET platforms, including ASP.NET. The company’s staff includes many talented designers that develop truly ingenious projects. To the customers interested in the SEO optimization, the company will be able to offer numerous various solutions to this task. You will be favorably impressed with the individual approach to each and every customer. There will be a preliminary discussion organized with you as a prospective customer, during which you will have the opportunity to express all your preferences and requirements with regard to the implementation of the project, and you will also receive all the information on the completion dates and the costs involved in the project. Speaking of costs and the prices of the company’s services, they are favorably different from those offered by other companies. Working with Skydex Soft Ltd, you will be pleasantly surprised by the company’s prices, which are considerably lower than those of its competitors. For example, it is very profitable to use China for the purposes of outsourcing, as the financial expenses involved will be significantly lower than those involved in outsourcing in India or Russia. You can make an inquiry about prices at any time, and the company will provide you will all the required information pertaining to its prices. You can also review samples of the design work carried out by the company Skydex Soft Ltd. You will be able to see for yourself that only true and highly qualified professionals work at this company! The work of the customer support department is of outstanding quality. You will always receive a prompt answer to any of your questions and the solution to any problem or issue that may arise in the course of work. The company Skydex Soft Ltd ensures strictest confidentiality and safe protection of intellectual property. There are never any problems that arise in that regard. The management of the company realizes that it is one of the cornerstones of successful collaboration with its customers and, therefore, attaches much significance to the matter of observing strict confidentiality and guaranteeing protection of all intellectual property rights of its customers. An additional advantage offered is the product support in the English language provided by the company. I tried to post this yesterday while on the road, but had no luck. Great conversation! PLM absolutely is intended to enable and support collaborative product development processes. But the key point here is that they are well-defined processes. Most processes require some level of collaboration and PLM must provide capabilities for that. The activities I described in my blog (http://bit.ly/4AXrI) which are more focused on idea capture/vetting, problem solving, and expertise identification, require different capabilities, like those of social product development. Does that mean they do not belong in one system? Of course not. In fact, a product development system that can enable product design authoring, social product development, and product development governance, delivers the necessary capabilities to help companies achieve their business objectives. Thank you for your comments! I agree, some of the processes are well defined and some of them are not. So, my question is how do you see them connected? Best, Oleg. Processes that are more loosely defined like idea generation can easily evolve content with a variety of inputs from people and other sources of content in a community space, whether that community is limited to people inside your organization or not. Through this evolution, some of these ideas will naturally rise to the top and others will be discarded, while others might be put on hold for consideration in the future. Those product ideas or solutions to problems that seem the most promising typically need further thinking, evolution, and informal concepting, which can happen in this sandbox environment. But at some point, the idea needs to become more fully developed; requirements established and detailed design created. These are more well –defined and formal processes that are the purview of PLM. Once ideas in the sandbox are deemed mature enough, they would be promoted/published to the PLM environment, where they would be governed by more formal processes. Similarly, PLM-managed content needs to be able to be published back to the community space/sandbox for occasions when problems have been identified in released product but no solution is obvious. Or when new product ideas are born from existing products. Iterating on ideas in the community space as described above and in my blog is ideal. Hope that answers your Q.
Robin, Thank you for your answer. Are you familiar with systems that are able to manage this loosely coupled processes of idea generation? I thought, such processes can be handled by functionalities as communities, wikis, forums, blogs and captured for future more strictly defined usage. For example, SharePoint can provide such capabilities. However process of publishing/connection is something that could be very problematic. How these connection works in ProductPoint? Is there something that can insure data consistency and availability between sandbox and managed environment? Thanks, Oleg. Yes, we are actively investigating the use cases of these loosely coupled processes such as idea generation and are monitoring available technologies. And yes, SharePoint (and by extension, Windchill ProductPoint) enables many of these types of communication. For example, wikis can be created and associated to CAD models. The wiki contents are indexed so that searches can be performed. Also, there are accommodations for this more freeform environment of Windchill ProductPoint to connect to and publish its product information to a more managed environment like Windchill PDMLink when it’s time to do so. 1. SharePoint (or not only SharePoint) wiki can contain potential idea description or even change definition – look back on my posts (http://plmtwine.com/2008/12/05/virtual-ccb-idea-can-we-use-wiki-for-plm/; http://plmtwine.com/2009/02/25/use-wiki-for-plm-change-management-–-revised/). What is big question for me is how association (or what Robin called publishing) mechanism work for customer. So, any thought about this? 2. From ProductPoint video, I learned that CAD model is basically exploded into SharePoint modeling elements (workspaces, documents, lists, folders). Do you see it as a way to make design data available for free form processes? Thanks for your comments and discussion! Sure, wikis and wiki-like capabilities, (whether delivered through SharePoint or other technologies) can be useful to document product ideas and changes. Re: association, I think the system need flexibility to enable auto-association, but to also allow for manual association between design data and sharepoint objects to meet unique customer needs. Yes, simple sharepoint functions like searching, combined with higher level functions like visualization form a great means by which to access and reuse data for free form processes. Tom, Thank you! PLM marketing often mentioning something called “single point of truth” managed by PDM kind of storage. This is a great marketing concept in my view. However, sometime, it creates confusion and data ownership conflicts. 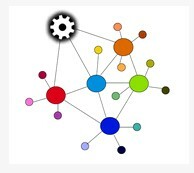 How do you see this concept connected to to product data and ideas distributed between various types of wiki, sharepoint workspaces and windchill storages…? Thanks, Oleg. Having a coherent, complete system of record is clearly still a very important concept. However, in some ways, it should be viewed as independent of the technologies being used, provided that all related tools, regardless of the vendor, are engineered to work together effectively.